Red Bud Industries is the only manufacturer with the confidence to offer a full 5 Year Warranty. This is the longest warranty in the industry. In addition to covering parts we manufacture, we also extend our warranty to purchased parts such as motors, valves, PLCs, pumps, etc. Has your line ever gone down waiting for a part? 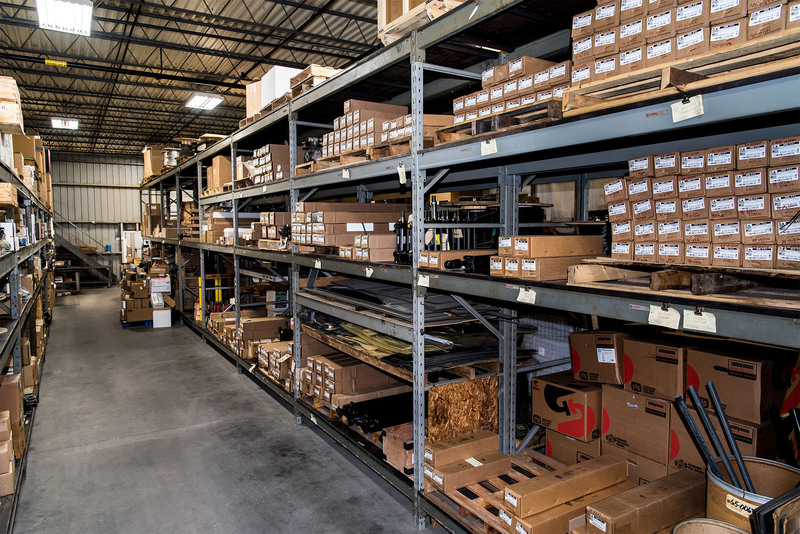 Our dedication to our customers is proven with an extensive spare parts inventory valued at over $8,000,000 U.S. Dollars. Typically, over 98% of our parts are shipped within 24 hours of the request. We also provide free telephone service for as long as you own the equipment, as well as a complete set of exploded assembly drawings and a Bill of Material for every line we manufacture. In addition, many manufacturers prorate their warranties. They base their warranty on the hours the equipment has been operated. The more shifts you operate the equipment, the shorter the warranty period, but not at Red Bud Industries. As the true manufacturer and builder of the equipment, we know the quality and craftsmanship which has gone into every machine. Regardless of the number of hours you operate our equipment, even 24/7, the equipment is warrantied for 5 years. Simply put: Because we build it, we can stand behind it.